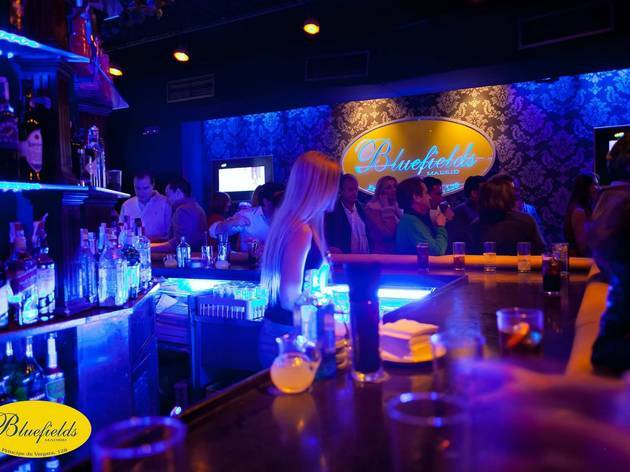 Located in Calle Príncipe de Vergara, in the heart of one of Madrid’s most exclusive neighbourhoods, Bluefields is the place to be for people looking for a late closing but select venue. If you’re just starting your evening out you have comfortable armchairs in which you can sample an expensive glass of whisky or gin and tonic. As the night progresses, things get livelier and livelier until the first light of dawn appears. 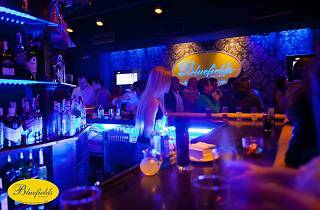 The clientele here tends to be well off people over 30 for whom the night is never long enough. In the daytime, there’s a bar and outside terrace seating. Cruz del Rayo (M: L9).